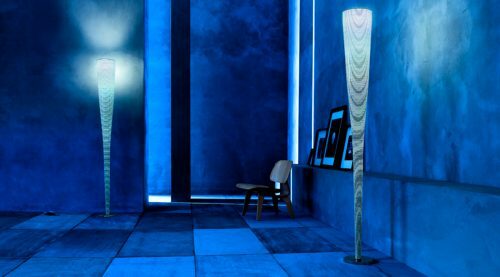 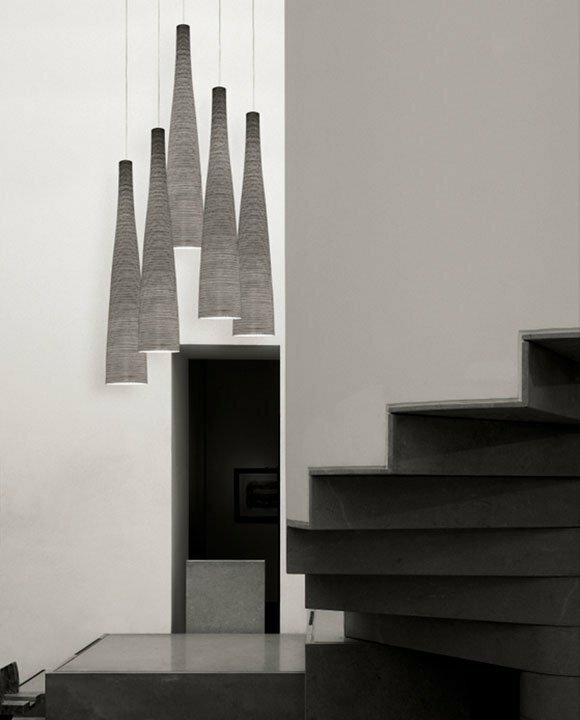 The collaboration between Foscarini and Marc Sadler began with Mite; a floor lamp so innovative that it was awarded the Compasso d’Oro in 2001. 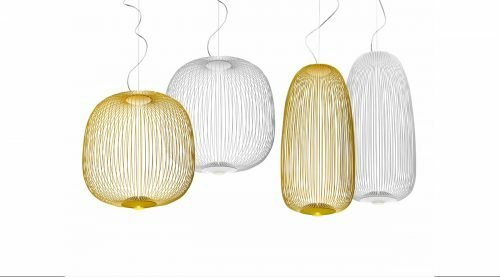 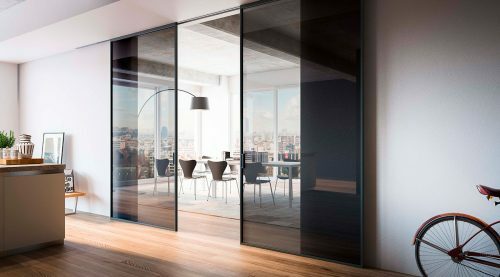 The company and the designer even developed a special patent for Mite: a mix of fibreglass and carbon thread that acts as both decoration and a supporting structure at the same time. Technology previously used to produce fishing rods, oars and golf clubs was introduced to the lighting world for the first time. 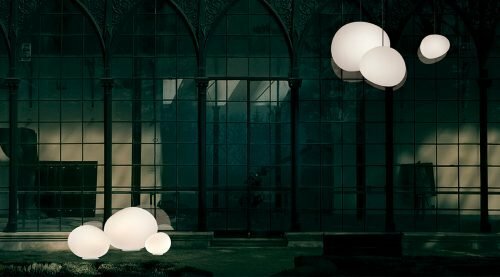 The extreme flexibility of this material – which is light and resistant at the same time – has enabled the design of an entire collection of lamps for various different uses. 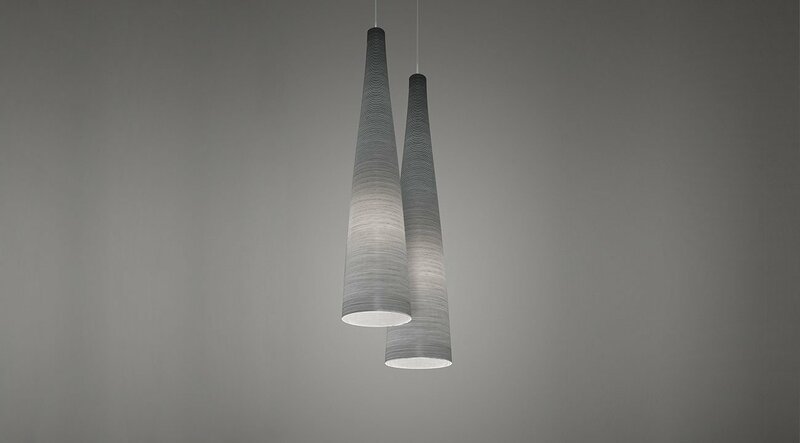 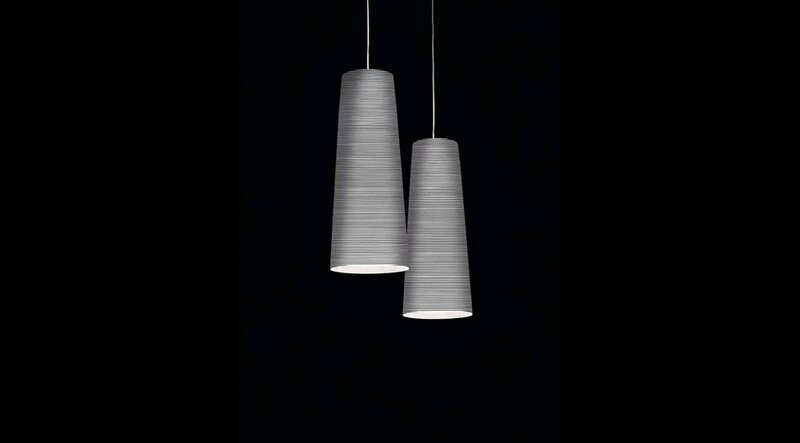 This is how Tite came to exist, a suspension lamp also seems to recall a section of the body of Mite in its shape, upset and suspended: a circular-section shape that broaden downwards. 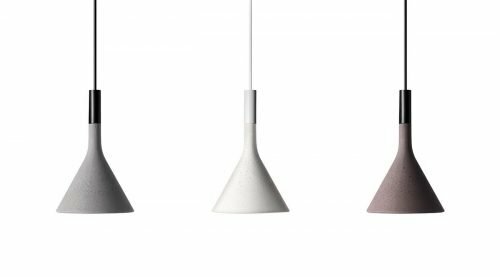 The light bulb is close to the lower bottom, source enlighten evenly the diffuser, giving prominence to the decoration and projecting downward an intense and warm light. 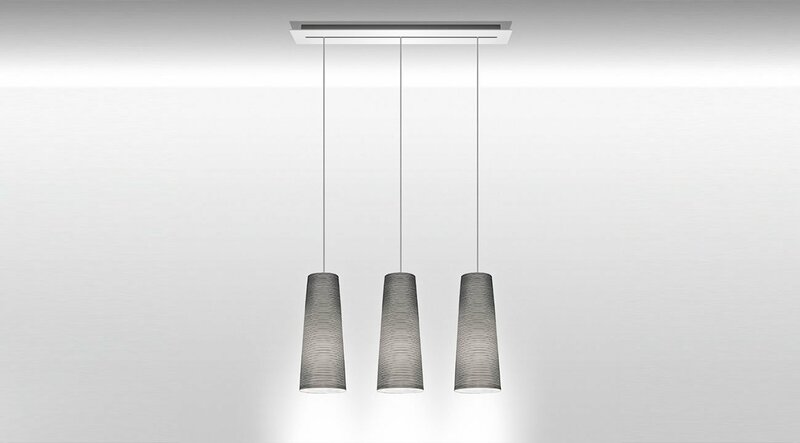 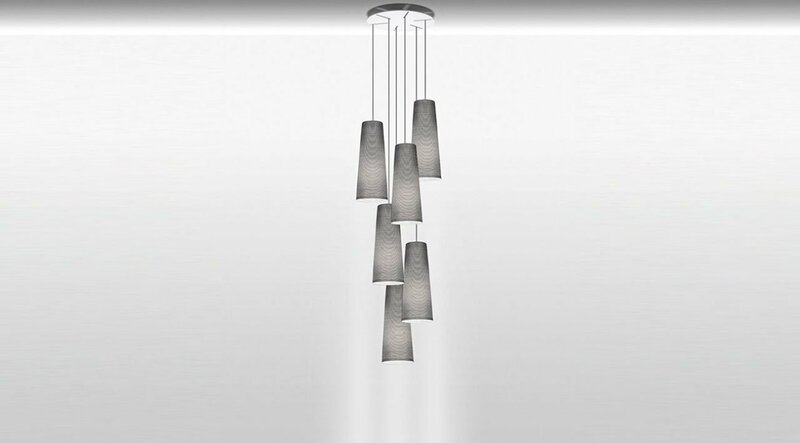 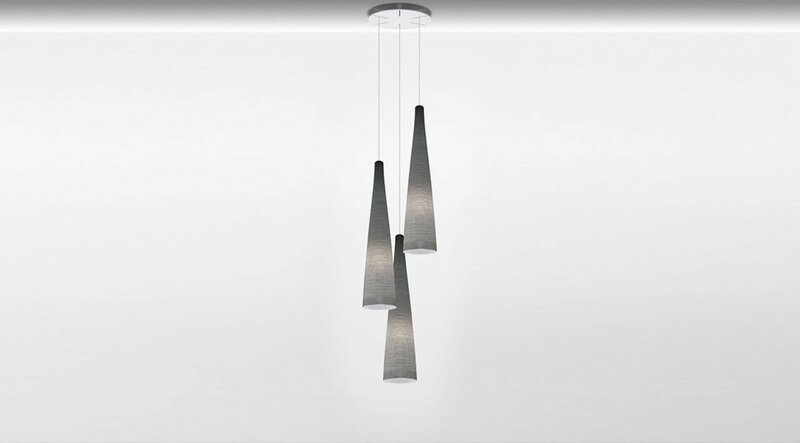 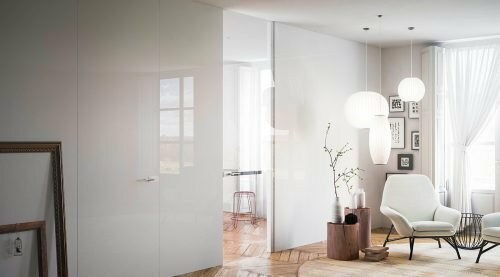 This versatility makes these suspensions ideal for any setting, whether domestic or contract, furnishing it with the stylish character that distinguishes the entire collection.